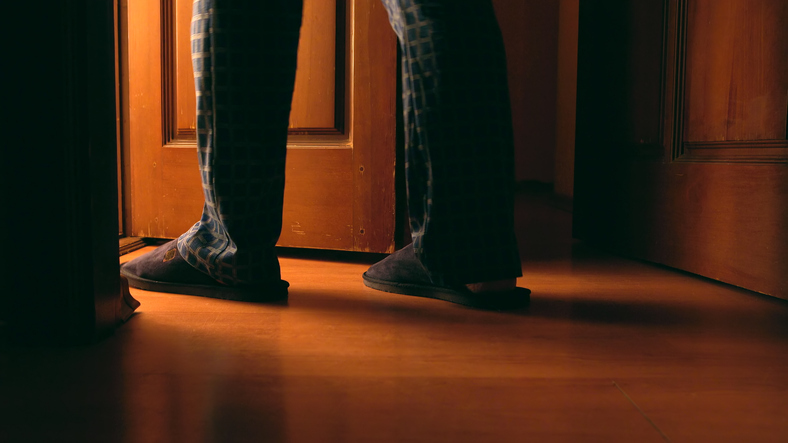 Having your sleep interrupted by the need to urinate (the medical term is nocturia) is a common cause of sleep loss, especially among older adults. Nearly two-thirds of adults ages 55 to 84 deal with this problem at least a few nights per week. People with mild cases may wake two times a night; in severe cases, it may be as many as five or six times. The result can be significant sleep loss and daytime fatigue. Nocturia becomes more common with age, partly due to normal changes. In addition, older folks are more likely to have medical problems that affect the bladder. Other possible causes include diabetes, urinary tract infection, and side effects of certain medications. Simply drinking a lot of liquid a few hours before bedtime can contribute to this problem, particularly if the drinks contain alcohol or caffeine. There are really three ways to treat this problem: correcting any underlying health problems, trying behavioral approaches, or prescribing medication. Almost always, the first step is to try to identify any medical cause for frequent nighttime urination and correct it. Behavioral approaches such as cutting down on how much you drink in the two hours before bedtime can also help. If the nocturia doesn't improve, your doctor may prescribe medication to treat an overactive bladder. There are several choices available and she or he can help find the one that works best for you. If you want to learn research-based strategies to improve sleep and reap the many health benefits of a good night's rest, buy Improving Sleep: A guide to a good night's rest, a Special Health Report from Harvard Medical School.